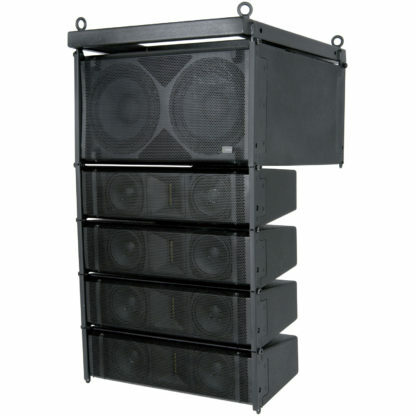 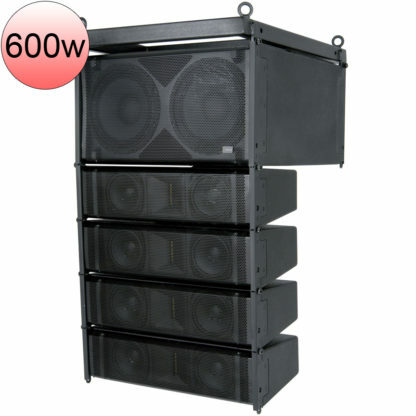 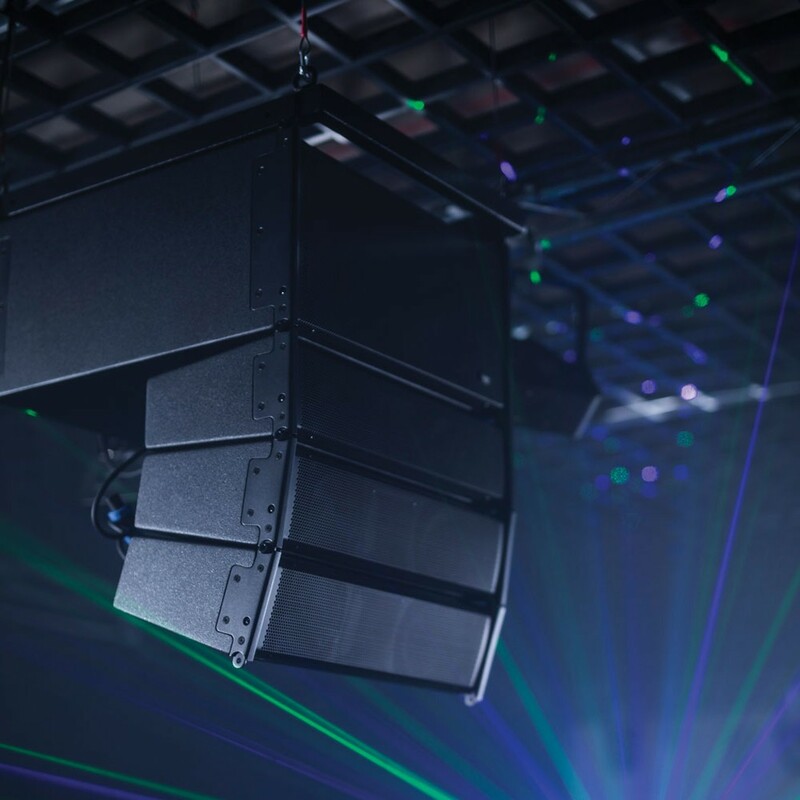 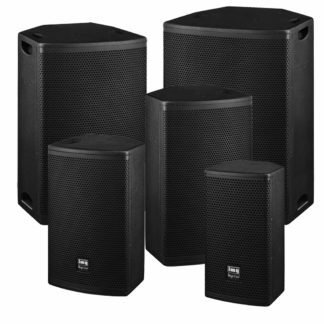 High quality sound reinforcement system designed for nightclubs, theatres, cinemas and conference halls. The system comprises of a subwoofer with integral amplifier and a cluster of 4 x full range speakers that are driven by the amplifier in the subwoofer enclosure. 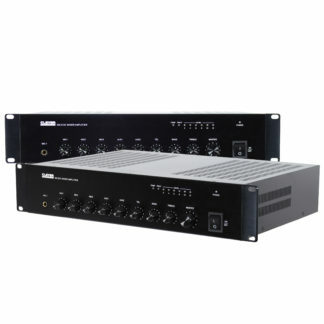 The amplifier features a digital sound processor that can be adjusted via software using the USB or RS-232 port to achieve the optimal performance from the array for each application and venue.